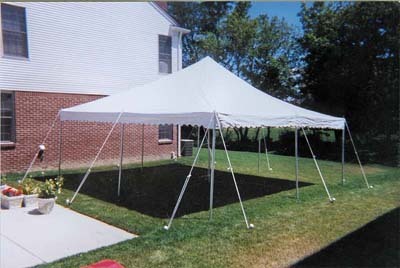 15 x 15 canopy pole tents are a lightweight vinyl covering designed to shelter against sun and light rains. 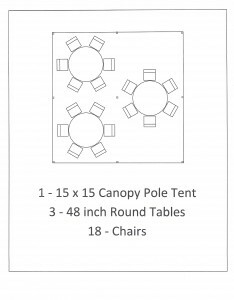 They are perfect for small events and parties where there is not a lot of room to install a larger tent. 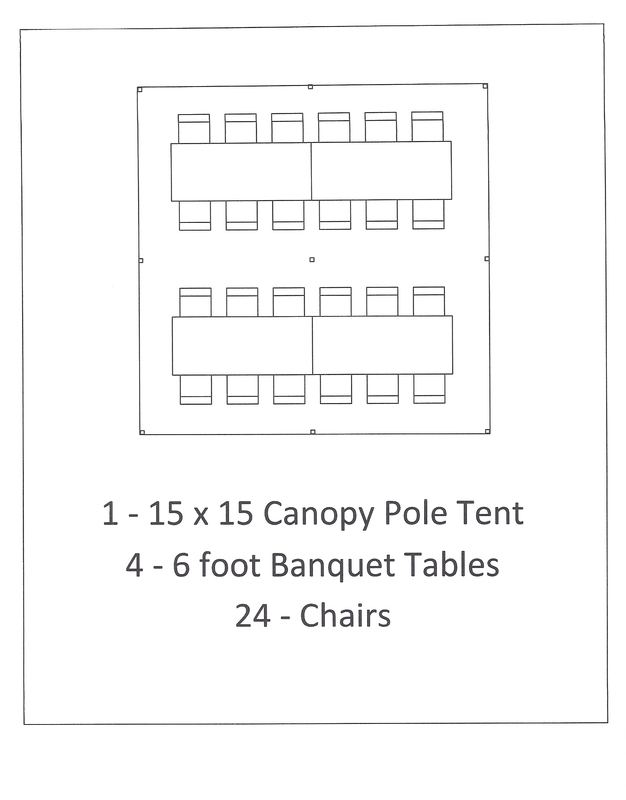 They can also be used in addition to a larger tent as a food service or beverage tent. They require a 23 x 23 space. They have one centerpole and require staking into the ground around their perimeter. 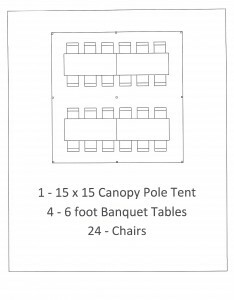 Sidewalls can be added for privacy or to provide additional weather protection, and lights can be added to help make your evening and night time events safer. 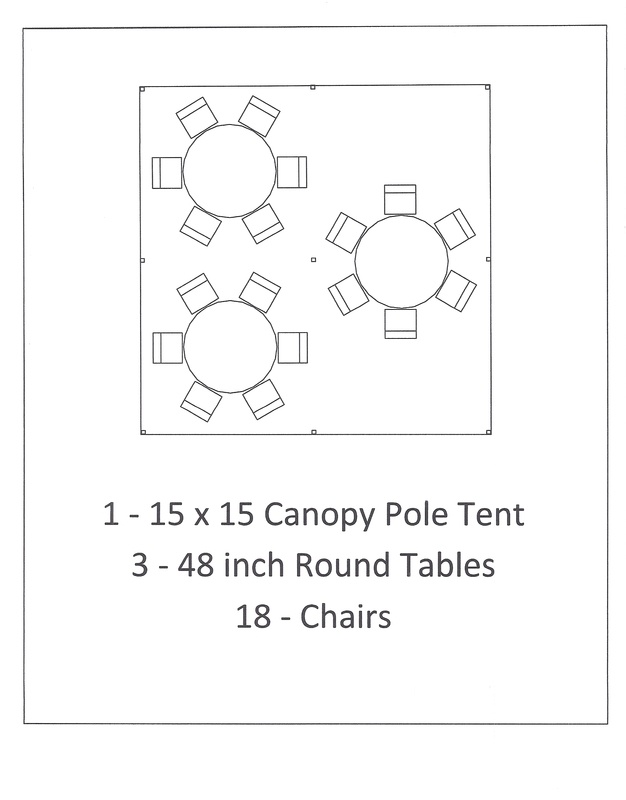 Basic seating arrangements for 15 x 15 canopies and tents.